How is Comcast pitching this deal? Commentators keep saying Comcast / Time Warner Cable don't compete. True in cable, but the danger is Comcast becoming an Internet monopoly. Does the deal raise red flags? Comcast and TWC aren’t competitors. It’s not good to consolidate ownership, but it doesn’t reduce choice. They were already cartel partners. What are critics of the deal saying? Susan Crawford, a professor in intellectual property at Harvard Law School and a fellow at the Roosevelt Institute, says in a post at Bloomberg View that the deal is “bad for America.” The reason it is scary, she says is that “for the vast majority of businesses in 19 of the 20 largest metropolitan areas in the country, their only choice for a high-capacity wired connection will be Comcast.” If regulators don’t want to stop the merger, she argues, then they should allow regions and municipalities to build their own alternative fiber networks. I wonder if net neutrality would be more popular if legislation was named the "Stop Comcast Act of 2014"
This is just an outgrowth of the FCC's failure to foster local competition years ago. That battle lost, we ended up w/ regional monopolies. There are 83M US broadband subscribers. $CMCSA = 20.6M. $TWC = 11.5M. Post merger, Comcast will control nearly 40 percent of US broadband. What are regulators likely to do? FCC’s cable ownership rules were struck down in 2009 so that wouldn’t be problem for Comcast-TW, but deal will still face lotsa scrutiny. Comcast is promoting the deal as positive in part because it has committed to honoring its net neutrality agreement with the FCC — and says it will extend that to Time Warner’s network — even though the rules governing net neutrality were effectively suspended with a recent court ruling. One concern about the combined entity will be whether it will have too much leverage over content providers: last year, Time Warner subscribers in New York and other markets lost access to CBS programming during a dispute over access fees. Jeff took a look at the regulatory aspects of the proposed deal in a post here at Gigaom, in which he points out that the merger will be subject to review by both the FCC — which will try to determine whether it is in “the public interest” — and by the Justice Department, which will be looking at antitrust regulations. What are the odds the deal goes ahead? Are there any benefits to the proposed deal? StockTwits founder Howard Lindzon, meanwhile, says one beneficiary of such a deal would be Google, since it would suddenly look a whole lot less scary and monopolistic by comparison: “Google is the story tomorrow. The Comcast/Time Warner deal only raises the evil tolerance ceiling for Google. That’s still the real long term problem for Cable.” For more on who the potential winners and losers from the deal are, check out this post from Stacey. Bingo. Former FCC head Reed Hundt says on CNBC that "broadband consolidation" should be a major regulatory concern in the Comcast deal. What about internet service of the Electric Grid? I haven’t heard that mentioned at all in discussions about this deal. Did it become to much of a political nightmare because it would compete with the cable companies? 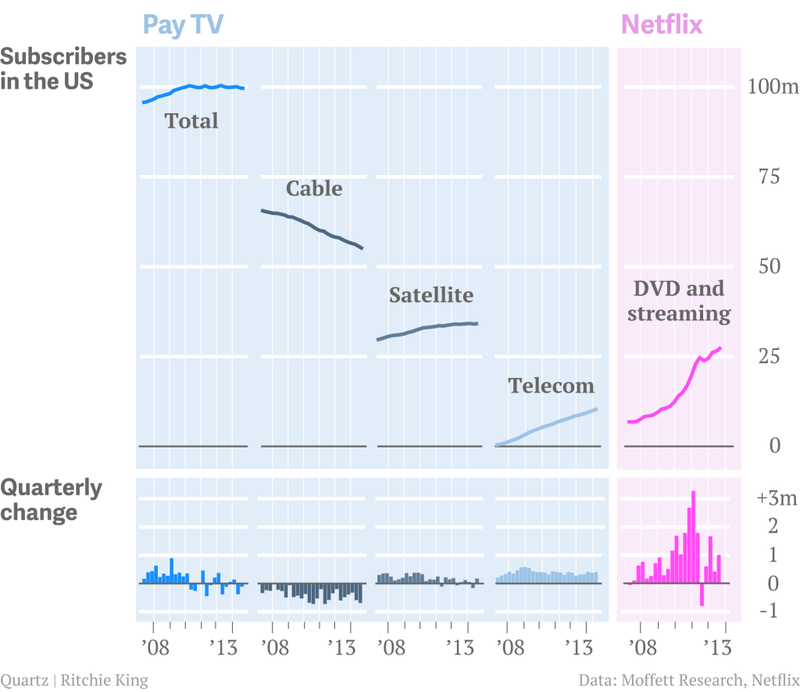 The cable industry is already a backwards-looking, monopolistic cartel. We don’t need another spuriously justified consolidation but in recent years the FCC has shown itself to be very cosy with industry lobbyists and uninterested in protecting consumers against the risks of monopolistic practices – as if these weren’t bad enough already. The only comfort for consumers is that other technologies and players are starting to make the cable guys irrelevant, but it will take a few more years for this to occur.